Why do black sparrowhawks come in different colours? Is today’s fiction tomorrow’s reality? Now, for the new: Anjali Vaidya writes about the work of anthropologists Piers Locke and Paul Keil, who are trying to build a bridge between ethnography and ethology to better understand human-elephant interactions. Caitlin Kight discusses a project that’s using cameras to remotely monitor nests of the critically-endangered Californian Condor. 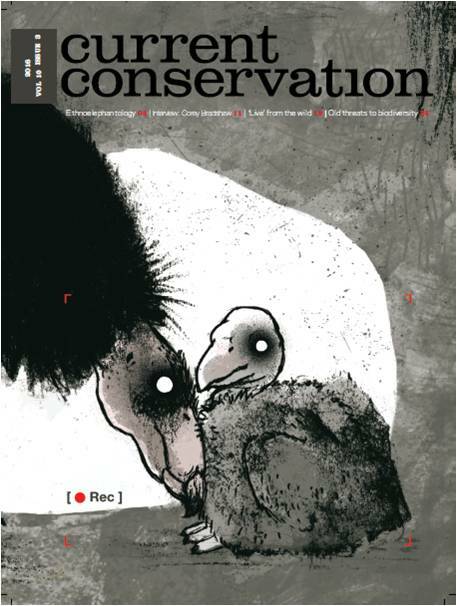 And of course, like always, this issue also features exciting new content in our old (and not-so-old) regulars: the second volume of CC Kids, a Research in Translation piece by Vrushal Pendharkar on why sparrowhawks come in different colour morphs, and reviews of Paolo Bacigalupi’ s novels by Caitlin Kight.